I'm planning this ahead of time and decided to keep track of the plan right on the Web page that will eventually be the trip report. Stay somewhere along the way home. Drive the rest of the way home. Ok.. that's the plan. We'll see what happens. 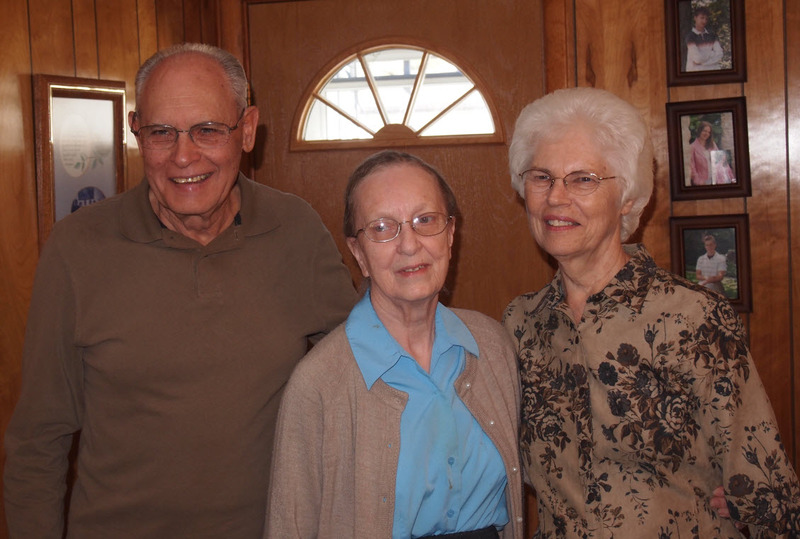 On Thursday the 10th, we began the day by driving over to Marion, Ohio and meeting Connie's Aunt Myrtle and Uncle Fred at her mother's house. We had a nice visit until about 12:30 when we headed for Baltimore. By 3PM we were only getting into Pennsylvania and I was thinking.. "Seems like I've been traveling all day and I'm just now in PA. This is going to be a long day!" Just after we got on I70 East of Breezewood, PA, it started to rain, and it rained the rest of the drive, about 3 1/2 hours. When we got to the hotel (Homewood Suites) we had vegetable soup for dinner. The hotel has a fully equipped kitchen in the room and knowing that, we took along the left over vegetable soup for our dinner. That was a good move! Day 4 - Chesapeake Maritime Museum & Lewes Delaware & Fort Miles. Day 6 - US Naval Academy Tour and start the drive home. Best meal - Connie would vote for the Rusty Scupper in Baltimore because of the ambience - the food was good too. The service was marginal. I vote for G&M Restaurant in Glen Burnie - Excellent food (very generous) and excellent service. Very nice atmosphere (white table clothes, etc.) and the price was fair. Really an excellent meal. Best site/visit - Maybe the B&O Railroad museum. We both agree that it was well done and interesting and for Connie to like a train museum that's saying something. She also enjoyed the Baltimore Inner Harbor walking tour. I agree that it was good, even in the rain. Biggest disappointment - The Chesapeake Bay Maritime Museum. The weather wasn't good, but that's not the reason. There were actually a lot of displays, but none of them seemed to be very well done or comprehensive. It just seemed to fall flat. Maybe my expectations were too high. It wasn't bad, just wasn't as good as I had hoped. Biggest Surprise - Discovering Fort Miles. We had no idea it was there and in retrospect, I found it pretty interesting. Especially if you add the mysterious goings on. Second biggest disappointment - I had intentionally stayed a couple of Holiday Inn Expresses, because in my recent past I've stayed at a few and they seemed to always have biscuits and gravy along with scrambled eggs and sausage for breakfast. The two we stayed at did not have the biscuits and gravy. They did have biscuits and scam belled eggs (at least one did) and they had their cinnamon roles (which are tremendous) but missing that gravy just bummed me out. Second best tour/visit - We really enjoyed walking around Annapolis. We had planned to take a trolley tour, but couldn't get on one until 3:30 so we decided to walk and see what we could see. We saw almost everything on the tour map we had! The weather was perfect and we enjoyed walking all over town.